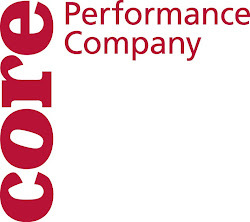 CORE Performance Company: Rock & Roll ! Greetings again from the studio in Decatur! We are nearing the end of our work week and have already accomplished many things in preparation for our performance at the Bayou City Art Festival in Houston, Texas. The group has been negotiating responsibilities as dance makers and performers to generate new material for this outdoor, site-specific presentation. Inspiration for this piece is drawn from Charlie Hardwick, the featured artist for this year's festival. Hardwick is a visual artist who has designed album art and posters (among many other creations) for rock and roll musicians all over the world. Using the idea "If you rock, we'll roll", Rose and Joshua have workshopped several ideas onto the moving bodies of CORE Performance Company. This process, which we refer to as "ogre-ing" has helped us develop a framework for an interactive, traveling, and versatile mode of performing. We will rehearse in Memorial Park before presenting the work next Saturday and Sunday (October 13 & 14) We hope to see you all there! In addition to the choreographic exercises we have also been reviewing the pieces from SHIFT for our show in Houston. Very busy on our end, but productive and exciting! Below is a link to the Bayou City Art Festival, where you can find out more information on the event itself and the featured artist, Charlie Hardwick. Hope to see you in the Studio, on the Square, or in Houston over the next week!